Call a man a liar and you might end up with a black eye. Call a man short and you might as well pick out the flowers for your grave right then and there. And with good reason! Being short is associated with a lot more than just a lack of height. According to studies it is associated with lower popularity, lower wages, lower success in the romance department (the saying is tall dark and handsome, after all), confidence (who wouldn’t be if faced with such discrimination?) and much more. But why is that? What makes us homo sapiens look down (literally and figuratively) on smaller homo sapiens? One plausible explanation lies in the fact that, once upon a time, we were not homo sapiens. At the time we were evolving into bipeds, the taller of our species experienced many advantages (more strength, better vantage, etc) which created a positive outlook towards those who were taller, and a negative outlook towards those who were not. And such a bias has carried to present day. At least according to one of the theories. So the next time someone makes fun of your height, call them primitive. That’ll show them. 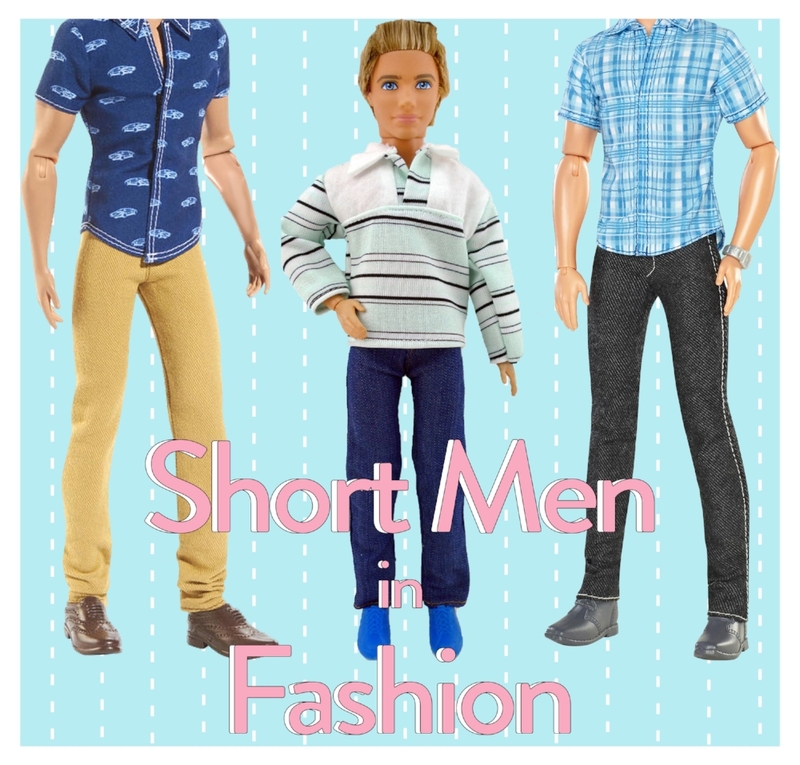 But I’m not here to bore you with anthropology or sociology, I’m here to discuss a huge problem short men face which is really not spoken about at all; their underrepresentation in the fashion industry in terms of not just models but clothing sizes. Today female plus sized models are becoming more integrated into the fashion world (to the extent that you are shamed if you are a plus sized model who has lost weight, but I’ll save that for another day) while petite models too have their own niche. But male models under 5’5”? Practically unheard of. In fact, a majority of modelling agencies have a set minimum height requirement of 5’10”. It gets worse when it comes to clothing for short men. It is not like they are a rarity within the population (approximately 30 million men in the US are below 5’8”), but if you’re below 5’5”, good luck finding clothing that does not need to be altered. Other than having their clothes altered, which is an option which does not go easy on one’s pocket (an added expense which Peter Manning dubbed the ‘Taylor Tax’), shorter men sometimes also resort to either buying clothing from the young adults’ section or the women’s section. One reason this is occurring, and has been occurring for so long, is that sometimes men take the stoicism associated with their gender a bit too far. There are no politics behind the lack of representation of all the various male body types. Men do not raise these issues and demand change the way women do; they do not try to draw attention to these issues. And as we know, only by drawing attention can one bring about change, which is why women have been so quick to bring about awareness regarding various issues and biases. But there are exceptions to every rule. Paul Manning is an individual who decided to not just speak up but act. He created the brand Ash and Anvil a few years ago which produces clothes for men who are 5’8” and below. Both brands provide articles of clothing which are stylish, suave and, most importantly, with measurements which suit any size. And so, though change may be slow, it is happening. And with the amount of popularity these brands are receiving, I am sure more will start to make appearances. It’s only a matter of time.